The doctors, consultants and the entire staff at Nouveau Départ- EHN Canada will offer you continuous quality care and services and will be committed to meeting your needs in a healthy, comfortable and safe environment. Throughout your stay, you will be considered as a person in your own right, with physical and psychological needs. We will also offer special consideration for your family and loved ones. In addition, you’re guaranteed to receive the care and services that meet your specific needs 24/7. We will be attentive to your concerns, fears and your physical, psychological and moral suffering. Before the beginning of every treatment, the Nouveau Départ team carefully assesses your usage profile, your risk for withdrawal, various co-occuring physical, emotional and behavioural conditions as well as any factors that could help or hinder your recovery. This initial assessment is based mostly on the Addiction Severity Index, and it is completed by a full medical exam. To measure your progress and make adjustments to your treatment plan, you will have your own therapist who will provide guidance and support you through individual sessions. During these sessions, different approaches are used depending on the individual’s specific needs. Individual therapy is provided on an intensive basis during the inpatient stay and is continued in the short-, medium- and long-term at an intensity that corresponds to the patient’s progress. The Clinique Nouveau Départ therapy team consists of psychologists, psychotherapists, social workers and addiction specialists who all work together to ensure that you receive the best possible care. Group therapy is an integral part of the treatment offered at Clinique Nouveau Départ. These therapies are frequent and varied. 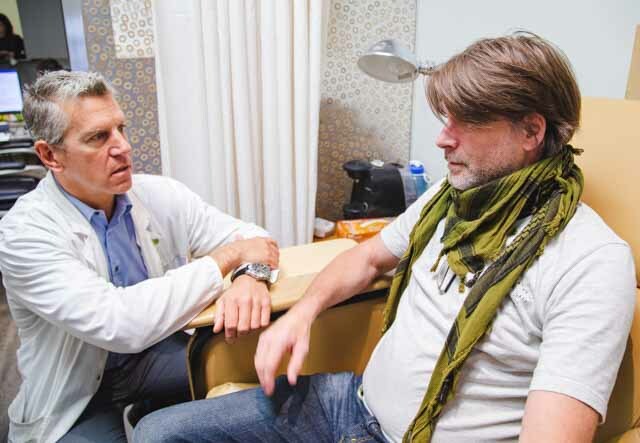 They gather patients with different addiction profiles in a cohesive group environment, led by experienced therapists. Our team includes professionals specialized in substance addiction and mental health. Several other specialists are available to present a variety of themes related to addiction. Clinique Nouveau Départ offers cognitive, behavioural and relaxation therapies, as well as those based on the AA way of life and philosophy. Every therapy session consists of a theoretical component and a practical workshops with methods that encourage introspection, self-knowledge and the development of well-being. Clinique Nouveau Départ offers a Family and Friends Program which consists of meetings organized for family members and friends. They are offered as group or individual meetings, and promote understanding, support and collaboration of the family, often neglected in such circumstances. A 3-hour information meeting is held every week. The goal is to help family members and friends break their silence, learn to express their emotions and feelings, and to interact with their loved one who has an addiction. During your inpatient stay, visits are allowed Thursday nights, before family therapy. Occasionally, with the permission of your therapist, family members can visit on weekends.